Introducing a new way to read, watch, and respond to Regent University athletics. There are a lot of great things happening on Regent University’s campus. Another new wave of students has brought fresh ideas and new perspectives. Because of this young community, sports have become much more of a priority for student life. With the creation of a university track and field team, Regent has officially entered the NCCAA (National Christian College Athletic Association). For the first time ever Regent is competing in collegiate league sports. This has the potential of bringing in other sports, facilities, and further developing our local fan base. Not only are collegiate sports growing on campus, but Regent’s intramurals have been expanding at an extremely fast rate. 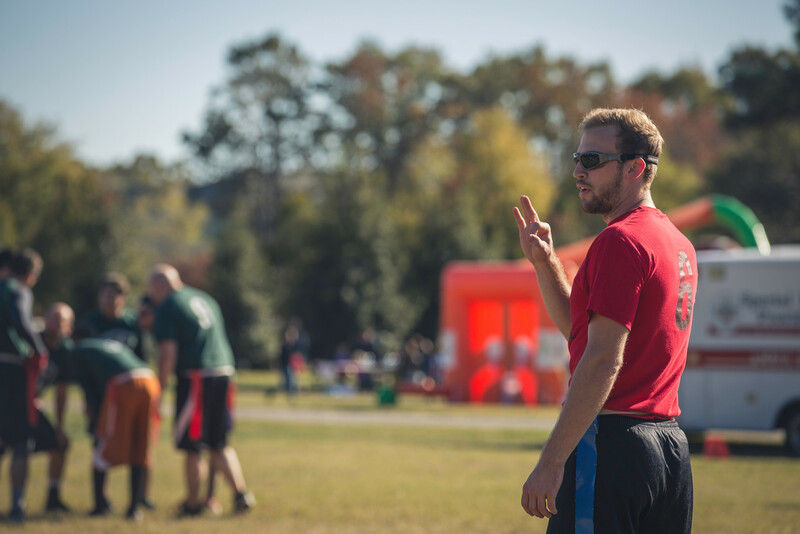 Regent intramural sports starts off by hosting a small flag football tournament every fall. The intramural events on campus have quickly evolved into an organization that has expanded the intensity and volume of sports every season. This fall there was intramural football, volleyball, and soccer. This spring, the Intramural Sports Board plans to have another soccer and volleyball season, as well as an ultimate Frisbee and ping pong tournaments. Because sports have become such a vital part of student life on campus, the Daily Runner is introducing a brand new sports page in collaboration with the Intramural Sports Board. For starters, be on the lookout for upcoming articles and videos on the track and field team. These articles will include the team’s progress, scores, interviews, rising stars, and potential rivalries. Our latest piece by Sara Waits covers the team’s first competitive debut last weekend at Christopher Newport University, and includes a recap of the event and interviews with Coach Ayanna Reece. The brand new sports page will also have articles on the intramural sports, covering everything from volleyball tournaments and the Chili Bowl to pick-up frisbee and competitive eating. We hope to also tackle both the deeper value of sports in culture, as well as light-hearted articles surrounding the Regent sports community. Everyone here at the Daily Runner is excited about this new chapter for Regent University, and are truly blessed to have the platform to spread sports news and events throughout the entire campus. If you’d like to get involved with what we’re up to, you can reach out to us here. Abraham Moreno-Riano is a staff writer for The Daily Runner.